Sometimes I have a hard time choosing a polish to paint. I sit in front of my stash for hours, looking at different polishes, but nothing looks right to me. Yesterday was one of those days, so I did what I normally do when I just can't make up my mind: I let my husband pick a polish! He has great taste in polish, but he always picks a red polish, because... well... in his words: if it isn't red, it isn't polish! So you can imagine my surprise when he picked this one. 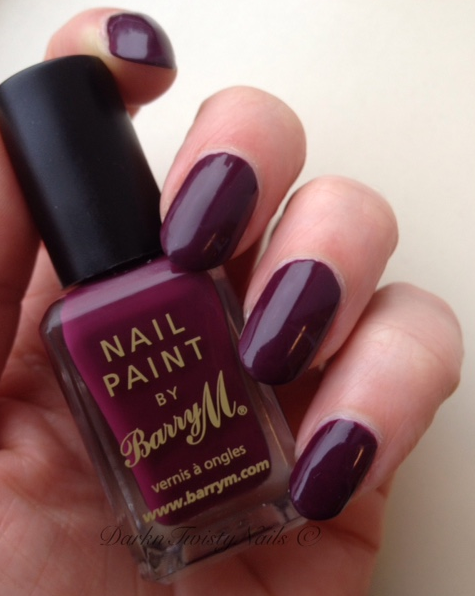 Barry M Berry Cosmo is a gorgeous deep, vampy berry cream. It's so gorgeous and I'm really happy hubs picked it out, because to be honest, I forgot I had this... Berry Cosmo is part of the core line and is widely available. The formula is really good, opaque in 2 thin coats, not too thick and not too thin, it dries fast and extremely glossy. You don't really need to add a top coat, but I always do to prolong the wear time of my mani. This is right up my ally, I love a nice, vampy polish and this is exactly that. Deep, warm berry cream, perfect for fall and winter, but it's nothing too spectacular. You can find this kind of color from a lot of brands, both OPI and China Glaze have something similar, but this kind of color is always a staple in my collection. Barry M is not easy to find here, but we do have a couple of stores that sell it, like River Island and you can get it online from the Barry M site (they ship internationally). 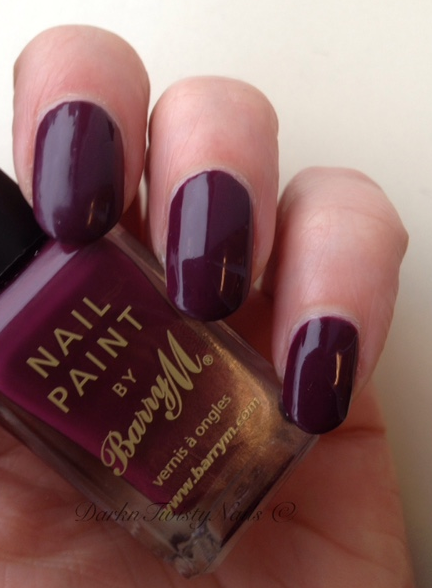 Do you own any Barry M polishes and if so, what is your favorite? Perfecte omschrijving van de lak, ik vind 'm prachtig! Ik ook, heerlijke kleur en super fijn om mee te werken.